So why does it get to act like one? New Jersey Sen. Cory Booker wants to use tax money from the NFL to fund domestic abuse programs. The National Football League generates about $9.5 billion in revenue each year. It is, by Forbes’ estimate, the most valuable sports league in the world. Its commissioner, Roger Goodell, makes $44 million in a year. And yet, the NFL’s head office has long been allowed to operate as a tax-exempt nonprofit—as if its sole purpose for existence wasn’t to extract wads of cash from the wallets of American sports fans. This week two Democratic senators have announced bills that would put this obvious farce to an end. In response to the outrage swirling over the NFL’s apparent tolerance of domestic abuse, New Jersey’s Cory Booker introduced legislation that would prohibit tax-free status for all major sports leagues. (The National Hockey League and PGA Tour are also nonprofits.) Washington state’s Maria Cantwell, meanwhile, is offering a bill targeted directly at the NFL’s tax-exempt status, prompted by its refusal to force the Washington, D.C., franchise to change its name from a racial slur against Native Americans. Even if it’s taken a series of national scandals to give this idea a fresh push, it’s nice to see common sense gaining more steam. Previously, Republican Sen. Tom Coburn of Oklahoma (whose state lacks an NFL team) and the House Ways and Means Committee have proposed legislation that would strip sports leagues of their nonprofit status. But if senators representing Giants, Jets, and Seahawks fans suddenly feel comfortable getting behind this idea, that’s progress. Chances are, yanking away the NFL’s tax exemption wouldn’t drastically change its finances. Only the league office, which considers itself a trade association for its clubs—just like the U.S. Chamber of Commerce or the National Dairy Council—is a nonprofit; the teams themselves are purely for-profit. As a result, pro football’s copious TV revenues are taxed once they’re passed down to the franchises. A separate, for-profit company called NFL Ventures, co-owned by the teams, handles the league’s merchandising and sponsorship earnings. Finally, the league office often operates at a loss—in 2011 it finished more than $77 million in the red, while in 2012 it only had $9 million left at year’s end. Without profits, of course, there’s nothing for the government to tax. Congress itself doesn’t think the NFL’s tax bill would be that big. Coburn has suggested that taxing the NFL and NHL alone would raise about $91 million per year. But the Congressional Joint Committee on Taxation—probably a bit more credible in this instance—believes ending tax exemptions for all sports leagues would bring in just under $11 million per year. 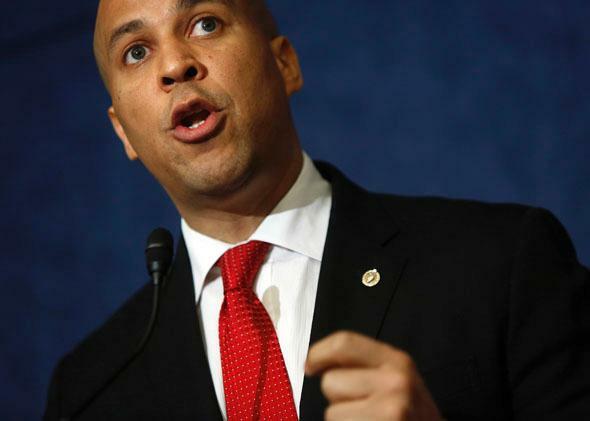 Booker hopes his bill would raise about $100 million over a decade, which would go to support domestic abuse programs. That’s a mere trickle compared with the geyser of cash the NFL generates each year. So if money isn’t really the issue, what is? It’s about principles. Letting the NFL operate tax-free makes a mockery of the entire concept behind nonprofits, which is that we should give a special break to organizations that do the useful, unprofitable work normal corporations won’t. The NFL’s lawyers like to point out that the IRS has a long history of treating sports leagues as tax-exempt. The government first gave the league office its nonprofit status in 1942, they note, and hasn’t questioned it since. Citing this history is a reasonable response to critics, such as Gregg Easterbrook, who claim that the NFL is simply benefiting from a special tax loophole that came about thanks to some brilliant lobbying in the 1960s—Congress actually inserted “professional football leagues” into the list of nonprofit trade groups covered by Section 501(c)(6) of the tax code. The code had previously covered “business leagues, chambers of commerce, real-estate boards, or boards of trade.” But this legislative carve-out doesn’t explain why, for instance, pro hockey and pro golf also get to operate tax-free. The problem is that the NFL should never have been considered a trade association in the first place. Love or hate the lobbying they do in Washington, trade groups are supposed to work for the benefit of entire industries, and be open to any business in that industry that would like to join. If you own a butter-making factory, then by God, you can pay dues and become a member of the American Butter Institute. The NFL, in contrast, operates a legally sanctioned sports cartel. It’s not in the league’s interest to let in more teams, because that could hurt the value of existing franchises. If NFL executives were out lobbying on behalf of college football teams or arena football, we might have a different story. But they’re not. The league office is the enforcement wing and rule-making body of a profit-making operation. The same goes for leagues like the NHL, which exist for the express purpose of excluding competition. The deeper issue at play here is that nonprofits exist to do things for the public good—things that for-profit companies generally don’t do. That’s why we give nonprofits a break from the IRS. And it’s why the government should be stingy about which kinds of organizations count and which don’t. We know that sports leagues won’t suddenly disappear if we treat them like normal corporations and ask them to pay, at most, a few million dollars to the government. Major League Baseball certainly hasn’t gone anywhere. The NFL won’t either.